The game everyone seemed to love before Pokemon GO took over the world, Alto’s Adventure, is now available for Android TV devices on Google Play. Geared towards owners of the NVIDIA SHIELD (because of the awesome SHIELD Controller), but compatible with all Android TV devices (Nexus Player, included), this version of the game pairs perfectly with a game controller, even though you will probably only use a single button while playing. 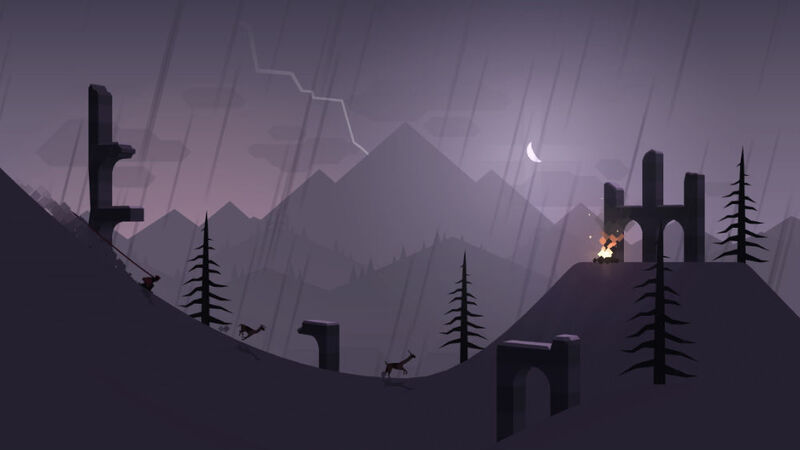 If you are unfamiliar with Alto’s Adventure, you should get familiar real quick – the game is awesome. To start, you play as Alto who is snowboarding down a mountainside. During your ride, you collect coins and escaped llamas. The coins can be put towards different power-ups that will allow you to go on longer rides equating to better scores. As you complete challenges, you will unlock new characters. This is where the game gets very fun, but challenging. Each character has a different set of abilities. While one character can jump higher, another character retains momentum better, allowing you to smash through more objects. It’s up to you to find the perfect balance for your playing style. Currently, the game is priced at $4.49 on Google Play. According to the publisher, the game was supposed to launch with a price of $3.99. If the $4.49 price will go down, we don’t know. If it does, we will update this post. Have at it, TV gamers.